This is a copy of photo/print from a calendar. 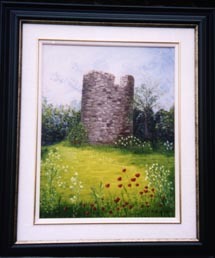 Painted by Rhoda Dec. 2000. 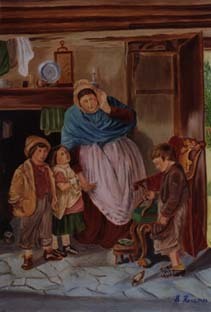 This is a copy of photo/print of a mother & her children in an old kitchen. Original artist's name is unknown. 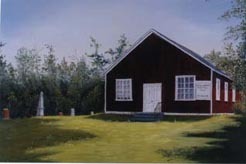 Painted by Rhoda Nov. 2000. 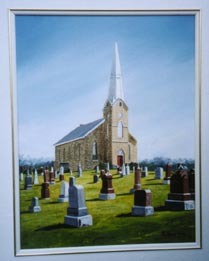 This is of The St. Columba Presbyterian Church & Cemetery, Kirk Hill, Ontario, Viewed from the NE, painted by Rhoda Oct. 2000. 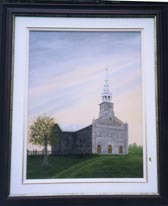 This is of the Higginson Tower in Vankleek Hill, Ontario, situated behind the Anglican church off highway 34 north as you go out of town. 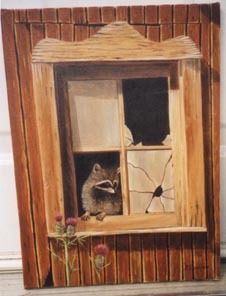 painted by Rhoda Oct. 2000. 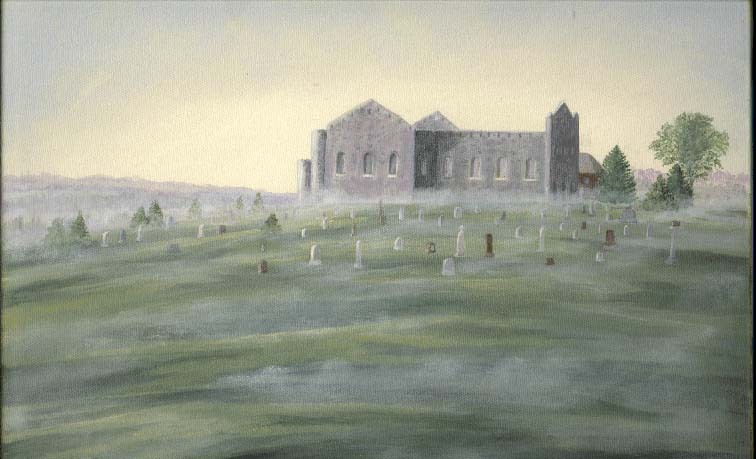 This is of St. Raphaels Church circa 1900 copied from an old photo, viewed from the North East. painted by Rhoda Apr. 2000. 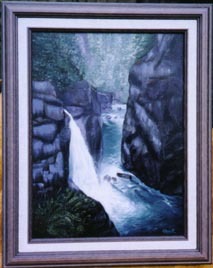 This is of a photo of Elk Falls which is located a few miles north of Campbell River, BC, painted by Rhoda Apr. 2000. This is a head shot of a black Labrador belong to Rhoda's son Lyle painted by Rhoda Apr. 2000. This is copy of a photo of a clamatis entwined in an old wagon wheel painted by Rhoda Mar. 2000. 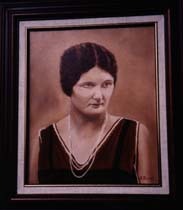 This is of Mary Graham the mother of Rhoda from a photo taken about 1928 painted by Rhoda Feb. 2000. 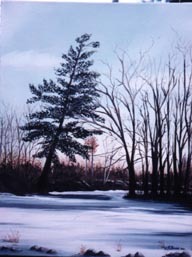 This is an old Pine Tree on the Bank of Sutherland Creek, near the Ross Home, Curry Hill, painted by Rhoda Feb. 2000.